Debris Removal OPeration (DROp.) is an Oculus Rift powered immersive space walk experience. 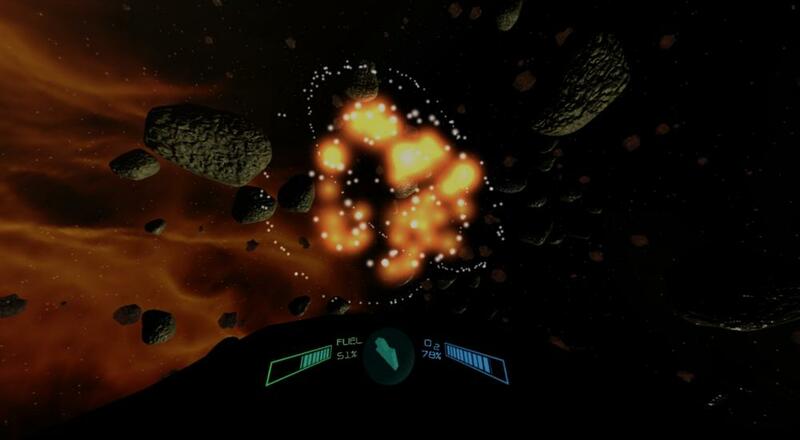 Player explores asteroid fields and space wreckage with the booster powered space suit in search of salvageable materials. Player's main objective is to remove the debris by detonating a bomb. The story revolves around Zed, an astronaut and space pioneer, who works on a spaceship and is in charge of completing daily missions based on exploring the vast and mysterious orbits of surrounding him planets. While on duty, Zed has to maintain the oxygen and fuel level of his space suit, don't get lost in space and avoid asteroids and the gravity forces of black holes. Upon the completion of every objective, Zed has to return to the spaceship to reset oxygen and fuel level and set directions for his next destination until the contamination level of all planets in the galaxy become zero.